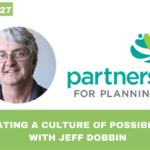 In this week’s podcast/ blog our featured guest is Jeff Dobbin, Executive Director of Partners for Planning (P4P) in Toronto Ontario. 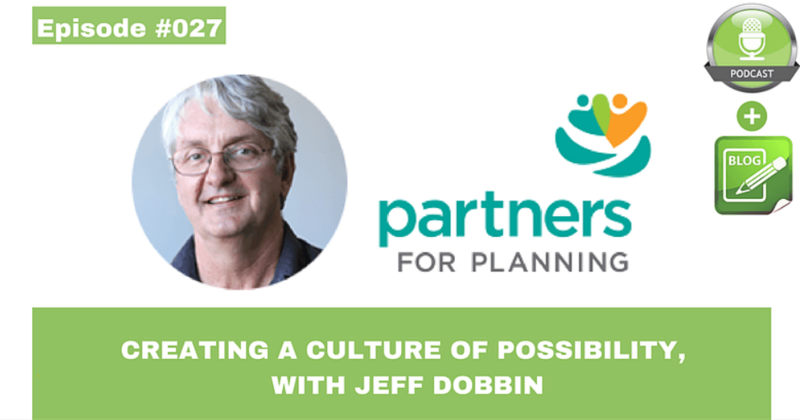 Jeff and I discuss the idea of creating a culture of possibility for people with disabilities, why planning and intentionality is so important, the three most important building blocks to think about when getting started with planning, and the resources that P4P provides to help you create an incredible ordinary life. 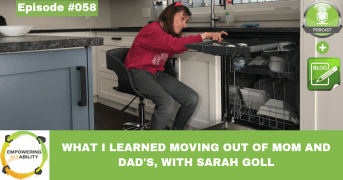 P4P, an affiliate of PLAN Vancouver and a member of the Ontario Independent Facilitation Network (OIFN), is a family driven organization that started in 2009 to create resources and community supports for families caring for a relative with a disability. They developed the P4P Planning Network, which is an online resource that was created for families across Ontario, but is accessed by people across the world! The online tool provides valuable information on six key areas; life planning, building relationships, work and contribution, legal and financial planning (RDSP), creating a home of your own, and supports. P4P is also very well known for the webcasts that they produce on these six areas where they engage in thoughtful discussions with experts, and take live questions from the audience. 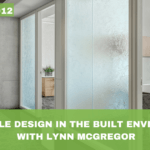 They host approximately 40 free webinars per year and you can check out their upcoming webinars on the planning network home page. The P4P website also hosts a doc zone – short documentaries profiling short video stories to help us learn what is possible and a professional services directory that can help you find professionals with disability expertise. P4P also published the book titled ‘Safe and Secure’, by Al Etmanski. They are currently updating Safe & Secure and it will be available on the Planning Network this fall. All resources on the Planning Network are available at no cost. 1) Create a Vision. 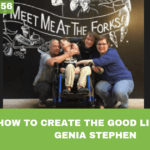 Think about the life you would like to help your son or daughter create. What is important? What is possible? Don’t be afraid to dream. 2) Building Relationships. Who will be there for your sons and daughters when you can no longer care for them? Don’t be afraid to invite others into your life and your son’s and daughter’s life. (Eric: Building relationships has had a huge impact on my sister’s life, but also my mother’s life – as she feels more supported. This is something that an independent facilitator or coach can support with. To learn more about independent facilitation you can listen to episode 3, ‘Independent Facilitation and Support Circles Enriching lives’, and also check out the Ontario Independent Facilitator Network (OIFN) website. 3) Financial Resources. Access the financial resources that are available to you to support making your vision a reality. In Canada, you can open an RDSP if you are eligible for the disability tax credit (DTC). 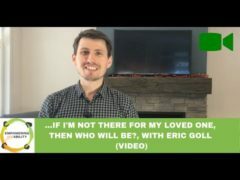 For example, if you open an RDSP at the age of 5, and you qualify for grants and bonds fully, at age 35 you would have a $350,000 asset and over a lifetime $1,000,000 asset. This type of asset is a life changer. 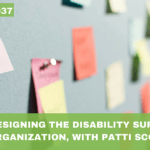 Check out the P4P learning center to learn more about the RDSP. 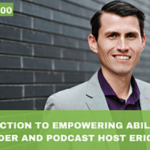 I thank Jeff for coming on the podcast/ blog to share the message of creating a culture of possibility for people with disabilities, and for educating us on the resources the P4P team has created to help us live into the vision we create for ourselves and our loved ones.